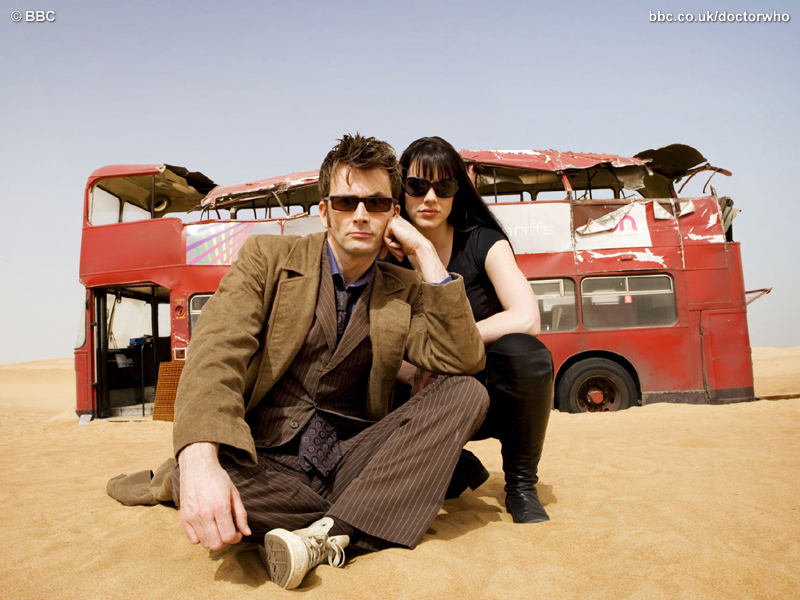 A bus, a jewel thief, and the Doctor walk into a bunch of sand . . . I could have spent some more time with Christina, at least a couple of episodes, but I’ll take what I can get: She survives in this dimension with her brain intact. Why yes, if you put Indiana Jones and Charade together with Doctor Who, I will show up.